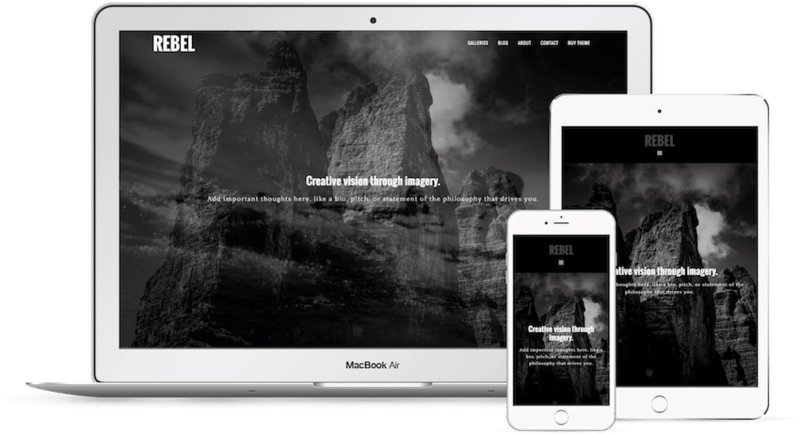 Rebel is a beautiful theme with a modern approach to photography websites. The monochromatic tones bring full attention to the photographs in black and white and color. Its pixel perfect styling is ready for desktop and mobile. Complete with a homepage slideshow, multiple blog, page and post templates.